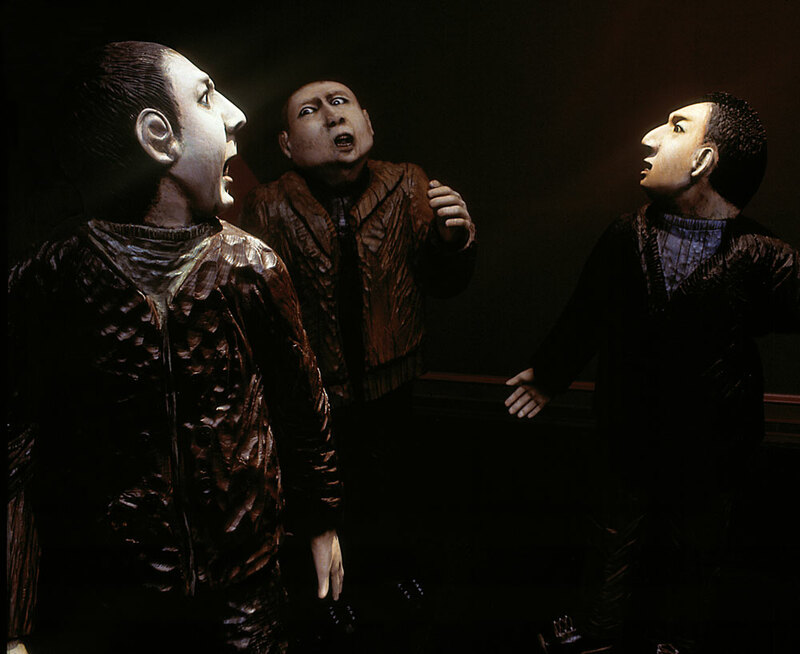 Pacheco was Associate Artist at the National Gallery, London from 1997 to 2000. Her brief was to produce a work for exhibition, inspired in some way by the National Gallery collection. 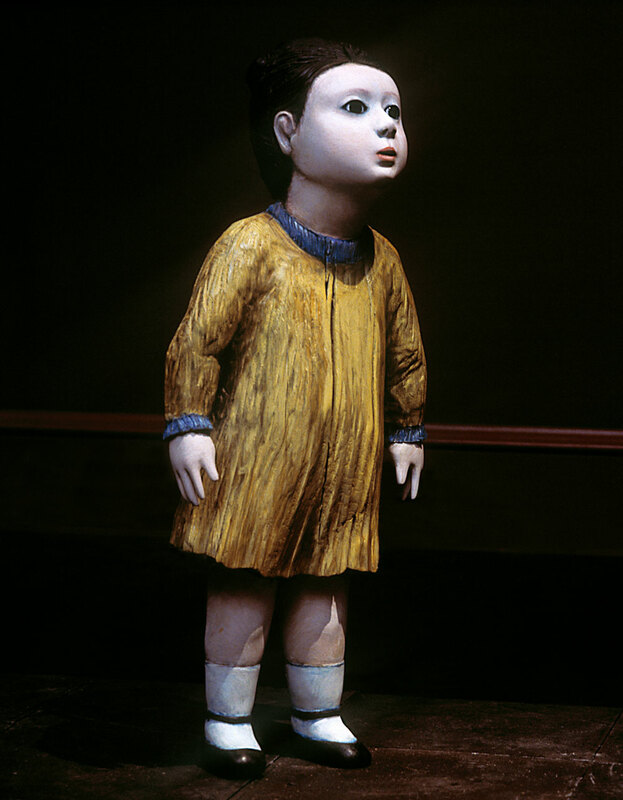 The nineteen-figure installation Dark Night of the Soul was the result. Apart from its immense scale and variety of poses, the piece is unusual for its radial structure. 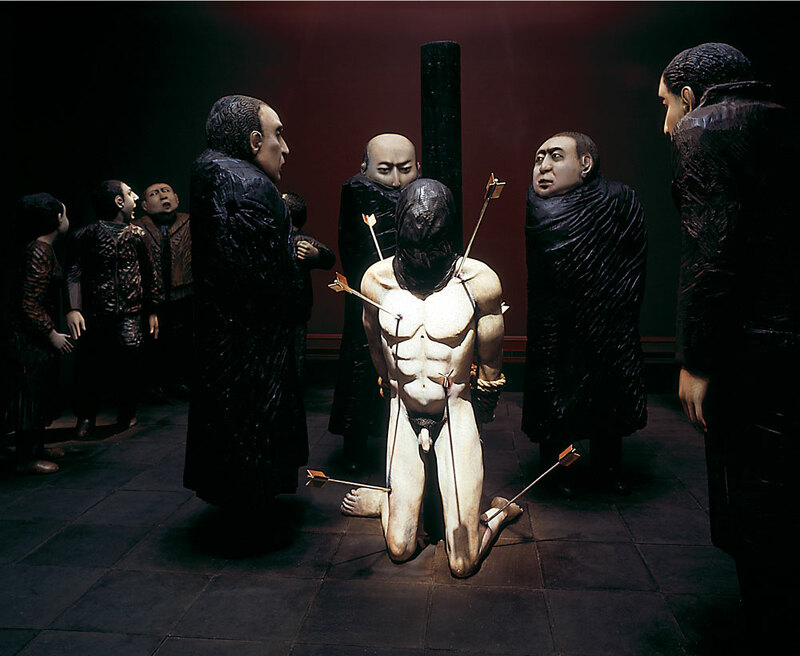 The focus is a central group where a kneeling, naked and hooded figure, pierced by arrows, is hedged round by four huge enforcers. This figure and a young child are the only naked figures in the piece and they are linked by a sightline. Other small groups look on in dismay or compassion at the central event, while hoodlums on the outskirts are engrossed in their own feuding. 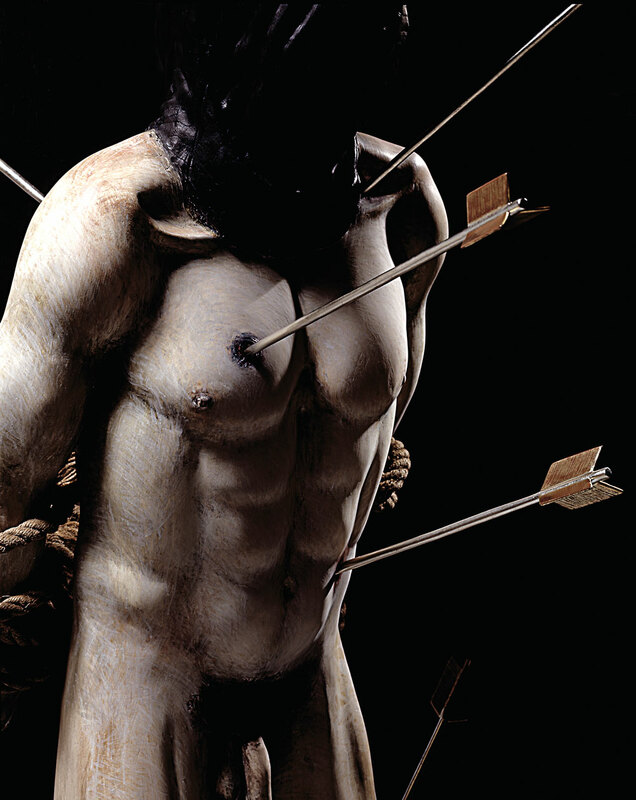 Pacheco has long admired the National Gallery’s The Martyrdom of Saint Sebastian by Antonio and Piero del Pollaiuolo and her sculpture clearly takes as its starting point the Romans’ punishment of Sebastian for his conversion to Christianity. 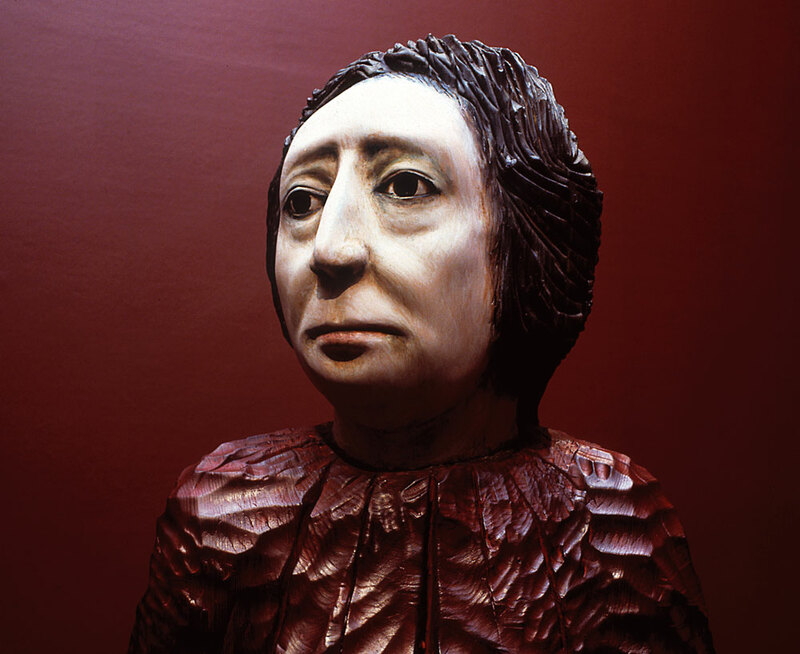 By giving her work a title referring to that particular event, Pacheco felt she would close the reading of the piece and viewers would not then take time to explore its wider implications. The title does in fact have a religious origin. It is the title of a poem and commentary by St John of the Cross which describes the journey of his soul towards unity with God. 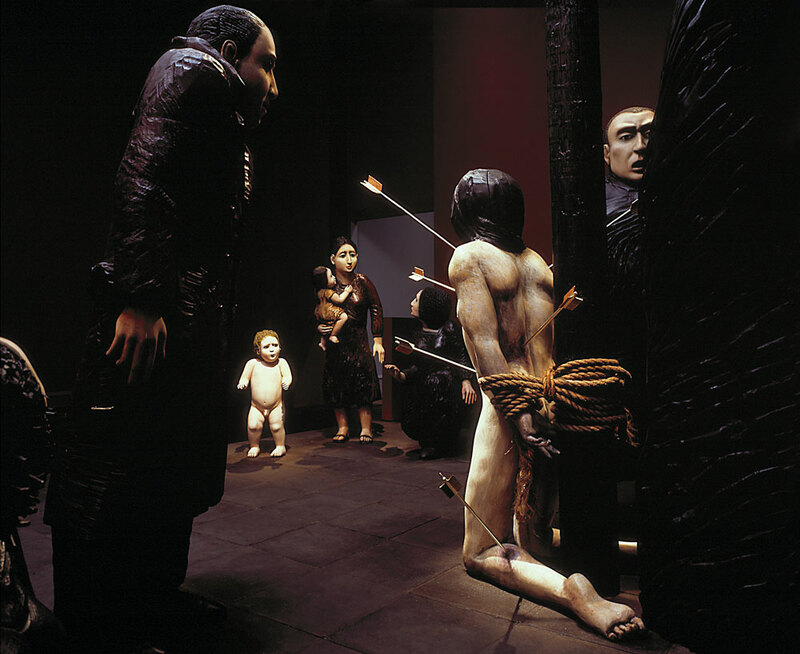 Wider implications of the sculpture became evident when photographs of atrocities in Abu Ghraib prison appeared in newspapers in strikingly similar images.